Fresh apples off the tree are definitely worth traveling to each fall as they ripen for harvest. Most people lack the space to grow their own, or simply do not want to deal with the bounty each year as more produce is picked that can be easily used. But what if I told you that you could have your own apple tree- no matter what space you have available for it? And that you could easily control the number of apples you get to keep from experiencing unnecessary waste? With a bonsai apple tree, you can have just that, and grow a tree that fits nicely on your tabletop, balcony, porch, or even along a trellis. Bonsai is a Japanese term that literally translates as “planted in a shallow container”. 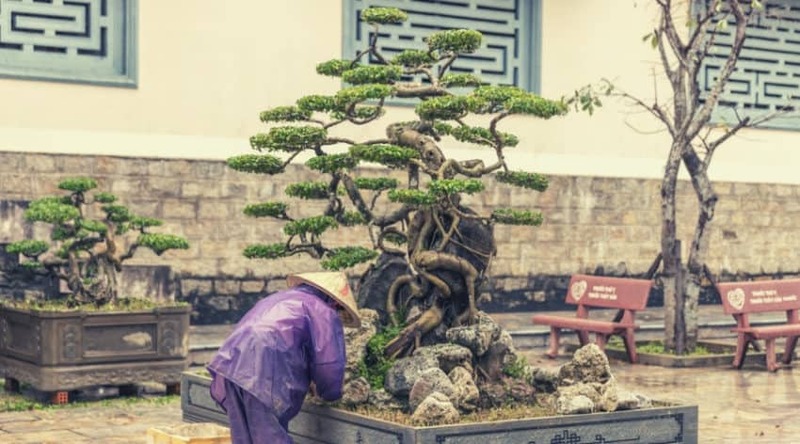 This practice is an ancient Chinese horticultural art form which has been borrowed across cultures as a popular gardening technique to create miniaturized, yet realistic representations, of tree forms. 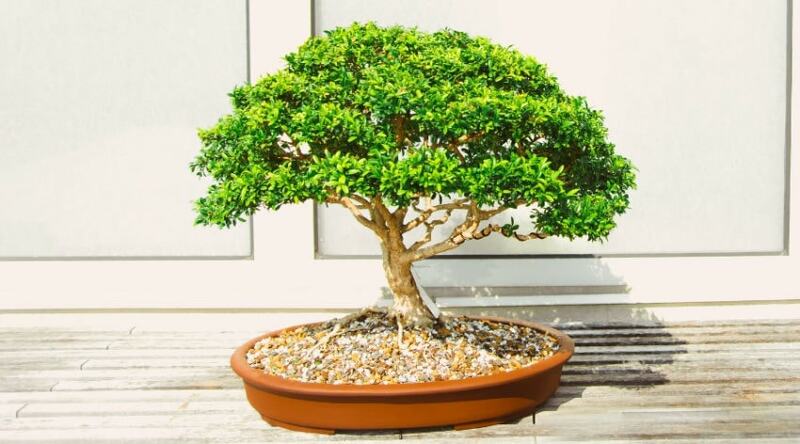 Bonsai is not a genetically altered plant to create a dwarf like-version of a full-size species. 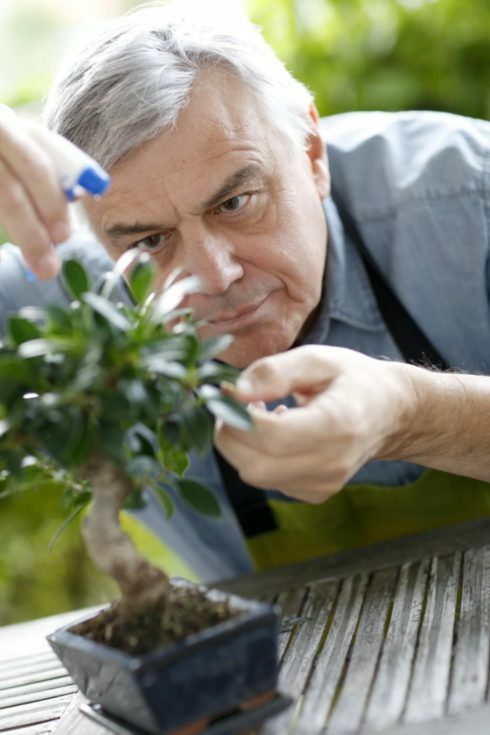 Rather through careful cultivation, pruning, and wiring of the branches, a gardener can influence the tree to stay under 4 feet (a generally accepted height), and still bear flowers and fruits if desired. Trees do ranch in height from mere inches, to approximately 7 feet tall depending on the desired results and plant placement. Any plant that has a woody stem can be influenced to grow under these conditions, and they only require some simple tools and products to maintain the plant. Although pots are suggested to help restrict root growth and nutrient availability, native species to your area can be grown right within your garden. 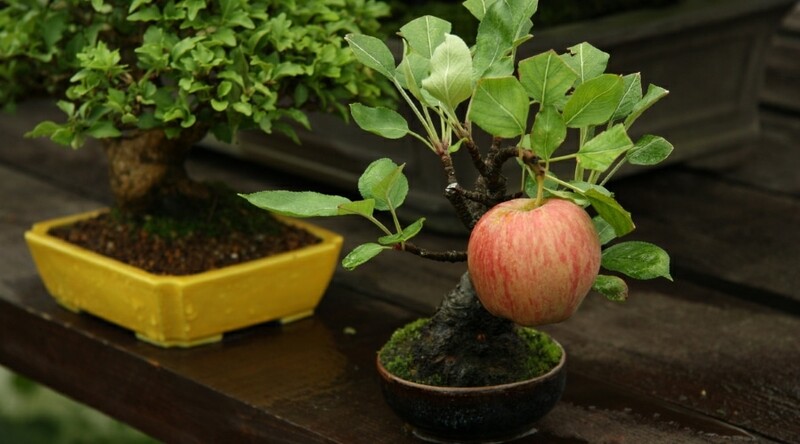 Apple trees are a wonderful choice for creating Bonsai from. 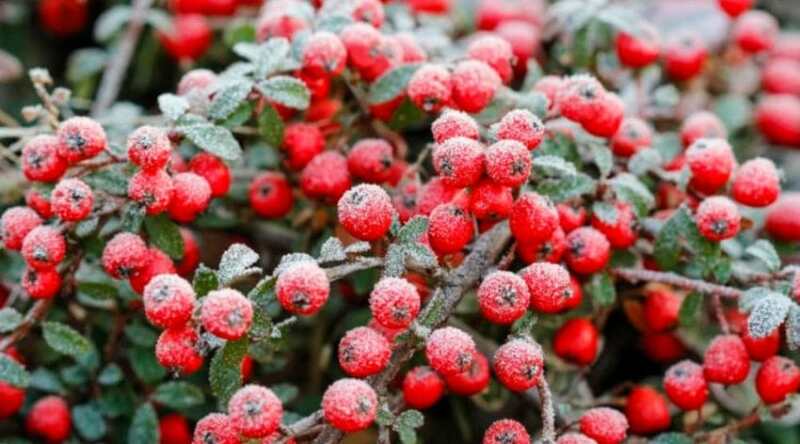 They have a decent growth rate that provides plenty of opportunities to train new shoots and branches, plus they bloom beautifully in spring, and can be cultivated to produce a decent amount of fruit in relation to its size. Other than the plant and container (explained below) you don’t need a lot of materials to grow your plant. A bottom layer of the coarse substrate for drainage, soil, pruners to help trim and cut both branches and roots, and wire and pliers for shaping purposes are all you need to get started. Of course, the soil you choose should be taken into consideration to ensure you have a soil that has good drainage and aeration. 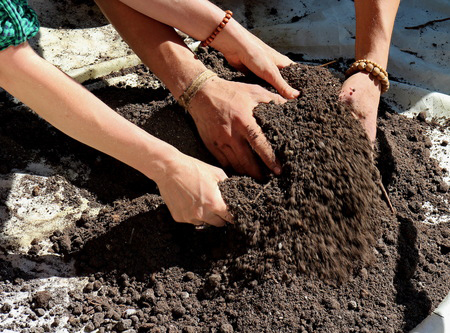 The soil is always an important consideration no matter whether you are planting in the garden or your pots. Soil helps make nutrients available to your plant, but also should allow for water drainage, and good aeration, but not dry out too quickly which hardens soils and keep water from being taken up by the roots. Since Bonsai roots are shallow, the soil it sits within is incredibly important to take into account. 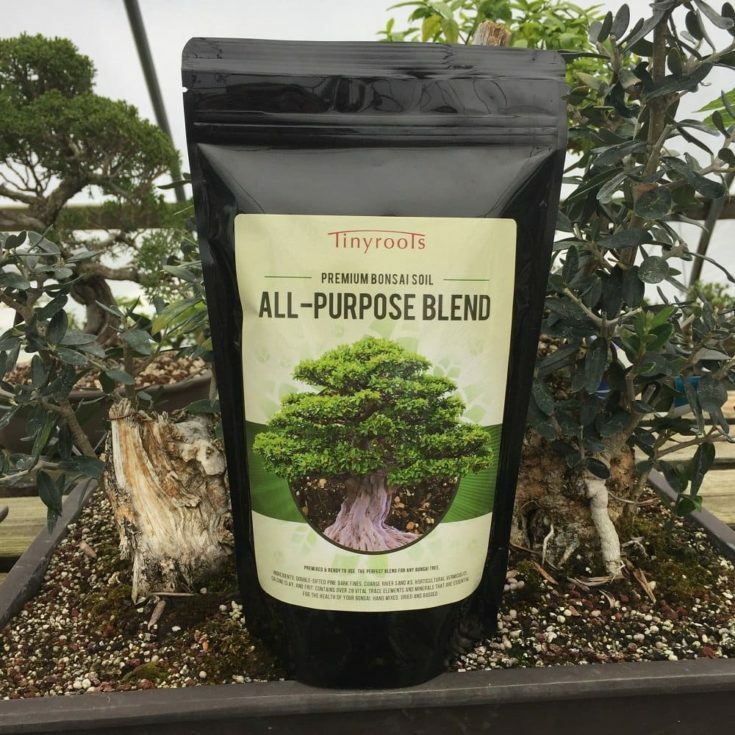 You can always purchase a Bonsai mix, or make your own using a mix of Akadema, Pumice, Lava Rock, organic potting soil, and grit. Akadema is hard baked clay, and when mixed with other substrates, helps provide easy water drainage you need to keep water from sitting at the roots and causing rot. This mix is also critical to the root formation. You want your roots to split as they create a ton of interest, plus, weaken the tree in a manner that allows sitting to stay smaller. This also provides a greater surface area for water and nutrient uptake to feed the top of your tree- which is where your main interest lay. 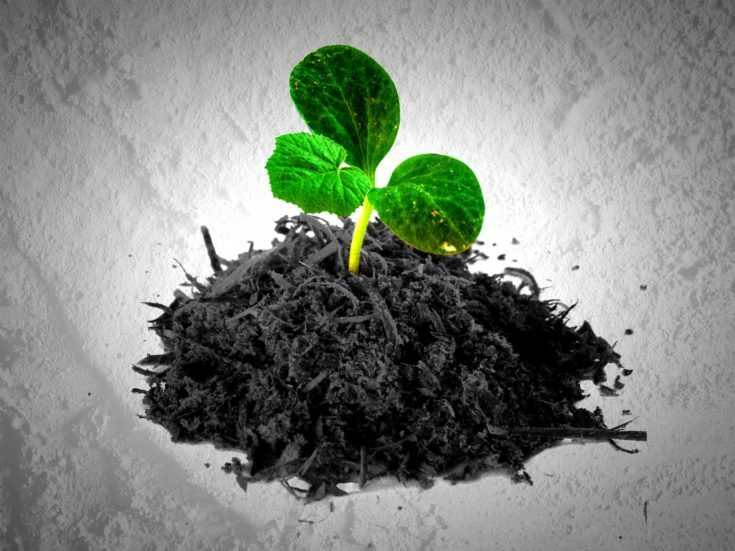 You do need to decide whether you want to start your plant from a seed, or seedling. Both provide you with a small plant, but there are some advantages to have it from the earliest age possible. Although you will have to have patience in growing your plant from a seed, once it reaches about 5 cm in height, you can get it potted and start the process of training and shaping it as it grows. Traditional Bonsai are started, and left, within small containers that help balance the finished height and growth of the tree. The container is just as important as the tree itself and is considered an integral part of the art form. There are many opinions surrounding the type of container that goes best with the type of plant you have decided upon, including shape, color, and glaze. In general, the pot should be the same height as the trunk is wide directly above the surface roots (called nebari). Oval and rectangular pots should be ⅔ of the tree’s height around, with round or square pots only ⅓ the height- with pots becoming wider if a particularly large canopy is present. Bearing fruit trees should be given a deeper pot, however, in order to ensure the nutrient uptake is sufficient for harvestable fruits. Double the depth of what is expected should be considered. 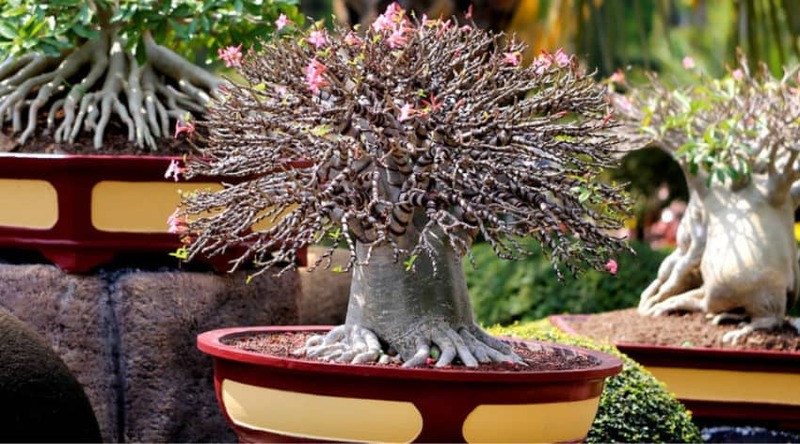 Through the years Bonsai cultivators have developed many techniques to help create a healthy plant that lives long and thrives. One is the soil mixing technique as described above, as is the container size to provide a means to help keep the plant small and focused on sending nutrients into prolific foliage and blooms. If you provide a fine mesh wide across the bottom, you help retain the soils that hold nutrients to make them available for root uptake. The mesh will allow water drainage, but will not as readily wash fertilizers and other organic materials from the soils as well-drained soils are known for. The use of the Akadema clays also helps bind nutrients while allowing water to drain. 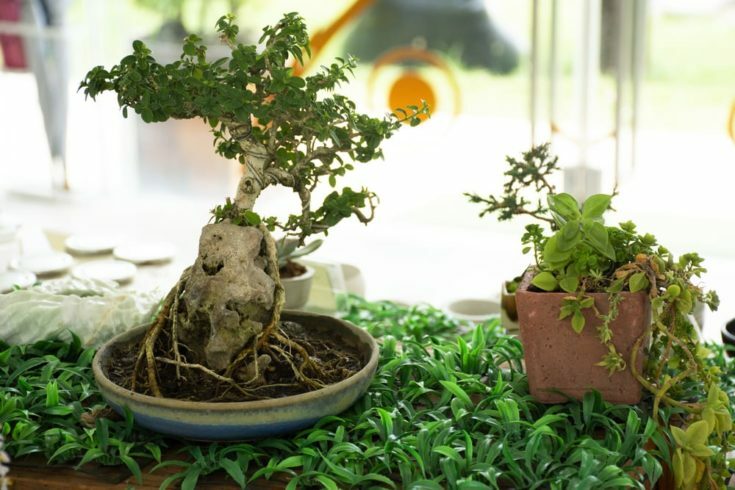 Since many Bonsai end up indoors, be sure that it receives proper sunlight. Light is crucial to the survival of trees, and most do not do well in low light situations. A sunny window, placing outdoors in warmer months, or even supplementing with a grow light are all solutions to making sure the tree is able to photosynthesis and create the beautiful blooms, foliage, and fruits you desire. You should repot your Bonsai every 2 to 5 years. You have to watch carefully for signs that your tree is not growing as well as you feel it should, or not producing the bloom for foliage. If this is the case, it may be becoming root bound, and it should be repotted. To replant, you want to follow a few simple steps, being careful to be gentle with the entire plant through the whole process. Gently lift the plant with the soil out of the pot and gently tap and remove the soil from the roots. Cut approximately 60% or 2/3rds of the root mass from the plant. It is important that you leave at least 30% of the roots. You can then report into a new pot, or into the same pot as you now have a root system that has room to grow. If you are new to Bonsai, you should stick with keeping your tree as natural as possible to help learn how the tree grows, and the care required to keep it alive and healthy. 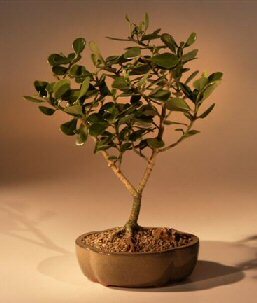 Over time, as you become more comfortable with Bonsai techniques, you can begin to train your trees into shapes that you desire. You do want your tree to grow naturally, no matter what work you will do upon it. You need to recognize the direction your tree prefers to grow, and help cultivate this to create intricate balance. You do not want to force your tree into training, rather allow the tree to move along your training techniques. Pruning is the most important steps in training your tree. There are two types of trimming: maintenance, and training. 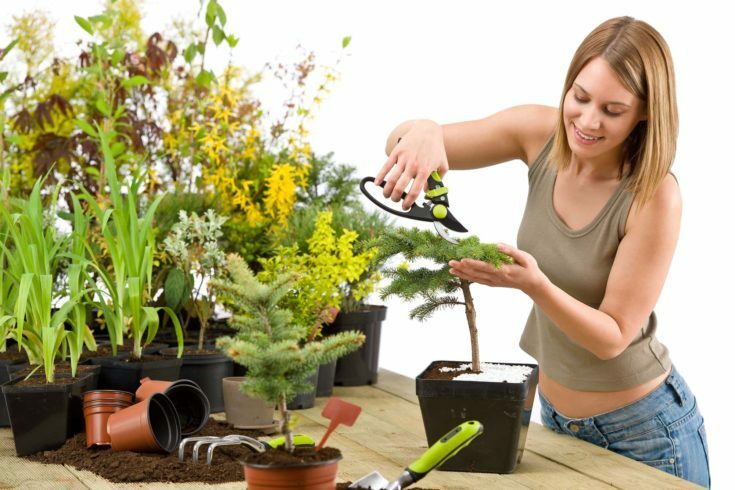 Maintenance refers to both the trimming of the roots for repotting, as described above, as well as to keep your tree in it’s desired shape and size by cutting new growth. It is very important to pay attention to how you prune your apple tree as you want to ensure you keep those branches that will produce. Basically, you want to keep your growth buds if you want to get any fruit. Pruning for training takes place after the tree has gone dormant in the autumn, or before it bursts forth in the spring. Even if your tree is not losing leaves, this is still a period of slow to no growth due to light availability. Basically, you want to remove any branches that are not wanted or take away from your desired shape at this time. Defoliation is the technique in which you remove the unwanted mature leaves to encourage new growth and to help keep them small. This can be done during the growing season and can take place as you remove any small, new shoots that occur through the night of growth. Wiring is the process in which you wrap a soft aluminum or copper wire around your branches to help shape them into the direction you want. The gage of wire is dependent on the thickness of the branch and is related to the strength you need. It is easiest to do this with young, supple branches, but you must take care to watch it closely as they grow fast and you want to make sure you remove the wire in time to keep it from marring your branch surface or cutting into it. You can use this technique to anchor your branches as well to pull them in new directions. Because your tree has a small container, well-drained soils, and an intricate root system, watering is a very important consideration. You want to be sure your plant receives enough water due to the conditions of its growth. Like most plants, you want to make sure your tree never completely dries out, but you also do not want water sitting at your tree’s roots (hence the attention to drainage). You can water your Bonsai from the top, or bottom, but you need to make sure you water regularly. Some experts claim you need to water a little each day, others twice a day. Even more so, some claim soaking it well once a week is sufficient. Honestly, this is very much dependent on what substrate you have your plant within. If it drains quickly, you will need to water it on a regular schedule, such as once every morning, and then take care to watch how quickly it dries out. Plants do not grow well when saturated, or dry, but rather take up maximum nutrients when damp to put forth new growth structure. Apple trees in particular need to be watered well when producing to keep a regular flow of food and hydration to the fruits (which are very full of water). 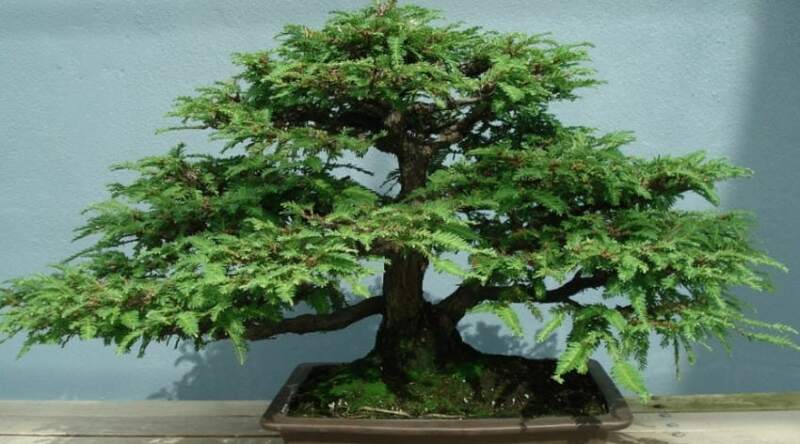 Because of the forced dwarfed nature of a Bonsai, it is very important that the tree is fed regularly as keeping it in a smaller state does not allow the canopy to create all the food it needs through photosynthesis. Plus, nutrients are quickly washed out of well-drained soil and need to be replaced. Special Bonsai fertilizers are available for purchase and are even available for seasonal changes. In general, you will want to fertilize about twice a month during the growing season but stop during fruit production. Come winter, your tree will not as readily uptake nutrients, and so you can slow your fertilization schedule down to once every few months, and provide a low, or no, nitrogen feed. Although what I described above may seem like a lot of work, consider the slow growth of most plants and the small nature of Bonsai, and you can see that very little time needs to be put into your overall effort. In general, you need to apply a watering, fertilizing, and pruning schedule to your mature tree- with the majority of your attention to growing and shaping your sapling as it matures. If you have ever shaped Bonsai before, we would love to hear about your techniques and tips below. We also would love the chance to answer any questions you may have. As always, please share as well!